Text, is not just letters combined into words, etc, it is an amalgam of predefined connotations asserted into the visual and analytical realm, and therefore there is a need to question the space which words can create, and how we wish to occupy said space. Each of us have our own inherent Leprosies, our own secrets which we sometimes feel are eating us from the outside in, our own notions of value, which can at times maybe make us feel devalued. 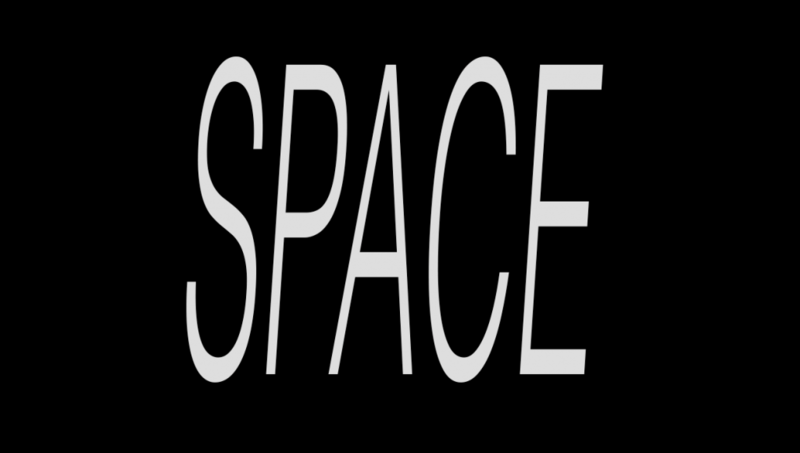 When constructing my text video about space, I began to question the reasons for which I had considered certain words to have a higher rank than others. I began to question the hierarchies and relationship between permanent words and the inevitable transience of others. 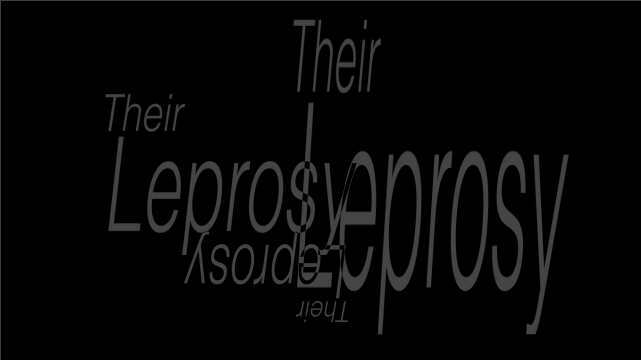 I chose, “Their”, as an anchor for the phrase for the rest of my composition. Then I made a conscious choice to discuss space, I began to spin a web of movements and interactions, floating words into the space, while others created and furthered the questioning and the control, over my illusionary boundaries , which, I implemented in hopes of forming new opinions and critiques of my own constructed space of text and motion. I chose to make a video and then triple the original frame, laying each of three identical animation at different angles and scales on the page; all to be played in unison at the same time. Scale, played a large role in the way in which my video was constructed, scale did not give inherent hierarchical dominance to any of the identical phrases, the size of font only gives a implication of visual importance, never an inherent dominance of meaning based on the number of pixels each letter contains. 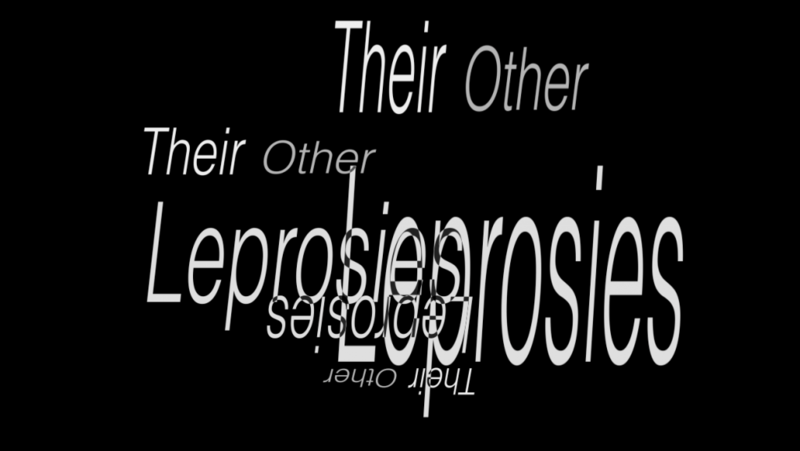 My project reverses half way through, while at the same time the letters are changed from stable solid font, to a dissolving and shimmering text, leaving its unweaving and reversed quality to tear down the meanings I had inferred in the first half of the video. My intention was to deconstruct the layers of phrases which I had spun into a complex web and choreographed visual performance. The words themselves did not only hold meaning in the context of the space I had defined, rather they became a world of their own, only enhanced by their definitions. The meaning of the phrases are only to be significant in the fact that they were connected, yet every word is worth considering on its own. The power of words in space, is underestimated, our subconscious is triggered by memory, repeatedly referencing the connotations of the words and phrases in terms of their previously defines moments in time, and their inherent meaning we have been taught since birth begins to slip away as you mature as a thinker. To use words, is a choice to express oneself, in which you assign values to solely meaningless lines. It is just the same as creating a code, any word can have an alternate meaning, and every word choice comes with the choice not to use another.